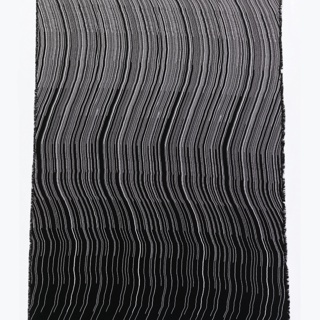 See more objects with the tag instruction, weavers, industrial design, work, weaving, mechanical, loom, Joseph-Marie Jacquard, straight lines. See more objects with the color darkolivegreen darkgrey darkslategrey grey or see all the colors for this object. This is a Book Illustration. It was published by Longmans, Green. It is dated 1895. It is a part of the Smithsonian Libraries department. The design of the M. Falcon loom is an important step in the progression of loom manufacture. 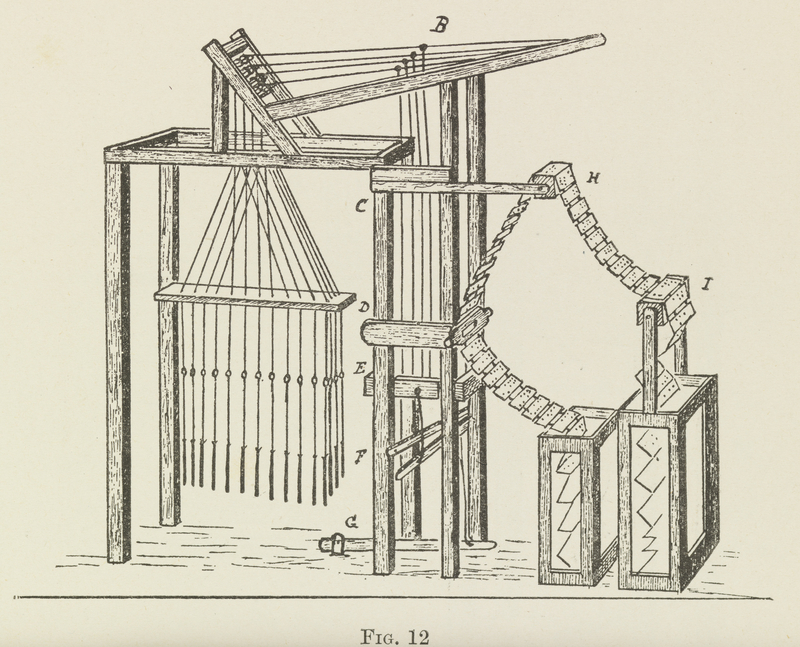 As weaving patterns became more complex, looms had to be designed to accommodate more shafts to lift individual threads. The movement of these shafts was controlled by perforated paper that corresponded to the rows of the pattern. M. Falcon’s contribution to the loom’s design was to adopt a chain of perforated cards in place of the perforated paper and to place horizontal wires or needles into several rows. This innovation allowed a greater number of perforated cards to be used in a smaller space in order to support the fabrication of complex woven designs.